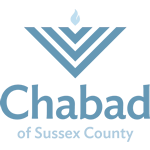 True to Jewish values, Chabad is there to assist in whatever way possible in times of crisis and need. If you or someone you know is in need of help, please call us. We pledge to do whatever is in out ability to help. We also are here to help any family who is looking for a Jewish education for their children. This may include summer camp, Hebrew School, Jewish Pre-school, or Jewish Day School. Please contact us with any inquiries. We are here to help.